3813- EXCELENTE COLECCION DE 57 TBO. AÑO IL Y L. VER DESCRIPCION. RUSTICA. 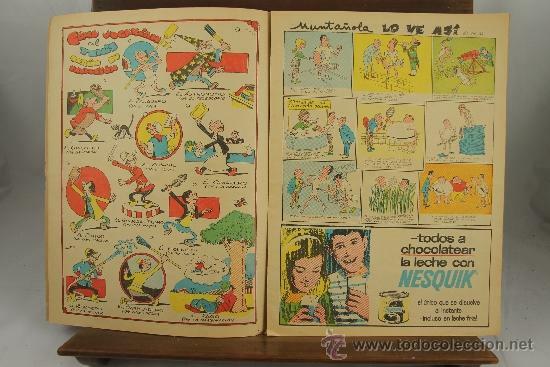 ILUSTRADOS CON VIÑETAS EN COLOR EN EL TEXTO. S/P. 28 CM. 1958: TBO EXTRAORDINARIO PARA AUTOMIVILISTAS Y PEATONES. TBO EXTRAORDINARIO DEDICADO AL FUTBOL. 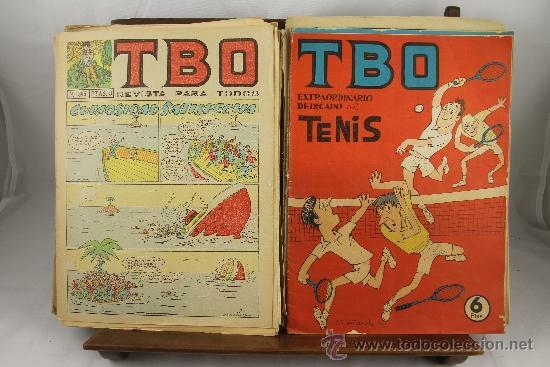 TBO EXTRAORDINARIO DEDICADO AL TENIS. 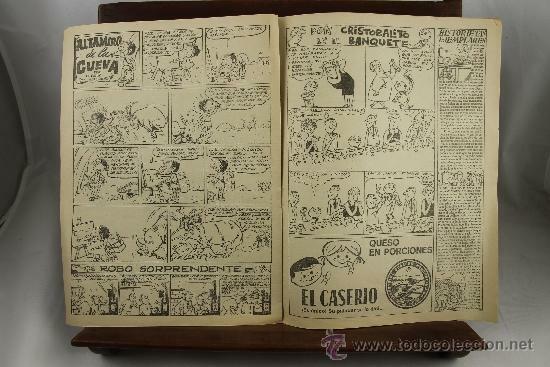 AÑO IL 1965 Nº : 399, 406, 391, 403, 412, 411, 401, 388, 410, 375, 377, 402, 396, 405, 381, 382, 414, 415, 418, 413, 407, 394, 376, 397, 379, 389, 390, 384, 400, 385, 395, 386, 404. 393, 405. 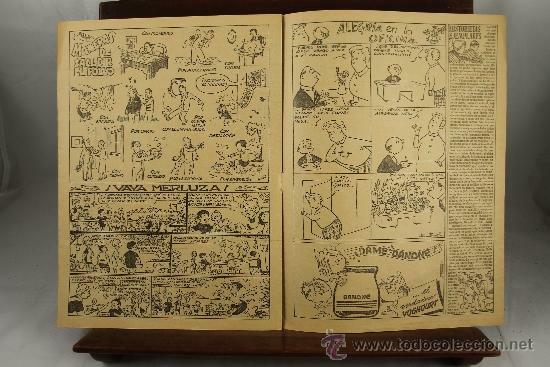 AÑO L 1966 Nº: 429, 463, 443, 460, 461, 433, 445, 434, 444, 465, 428, 448, 431, 446, 432, 437, 447, 440, 436. 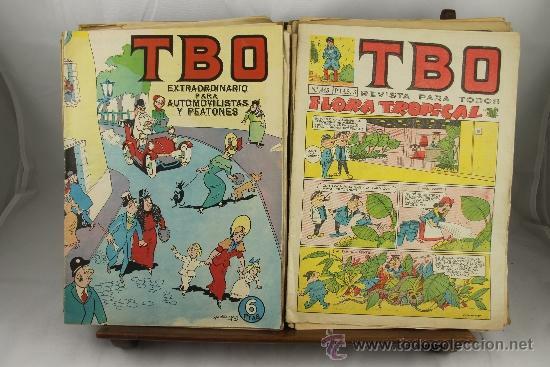 TBO Nº 57. BUIGAS 1952. 5053- COLECCION DE 178 TBO. EDIT. BUIGAS. VARIAS EPOCAS. BUEN ESTADO. 1950/1980. 7723 - TBO. 7 EJEMPLARES(VER DESCRIPCIÓN). VV. AA. VARIAS EDITORIALES. 1928-1988. 7987 - TBO. 84 EJEMPLARES. (VER DESCRIPCIÓN). VV. AA. EDIT. BUIGAS. AÑOS 80. 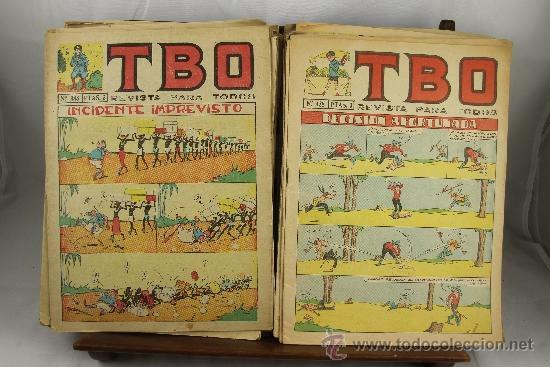 COLECCIÓN DE 30 TBO Y 3 ALMANAQUE. BARCELONA. 1928-1958. Hora oficial TC: 00:31:24 TR: 112 ms.